The Canadian Toy Train Association is pleased to announce that MTH is manufacturing a Pacific Great Eastern Railway side dump car in their Railking line. 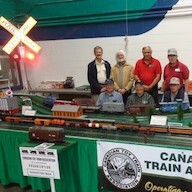 This limited production of 192 3-rail “O” gauge car comes in two road numbers (96 each) , #6126 & #6130. Delivery is expected in late 2019. 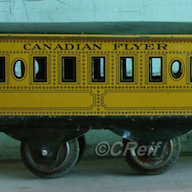 This is the sixth MTH car in our Canadian series and is a limited run. Prototype car shown in the image above. Preliminary artwork photo will be published when received from MTH. SPECIAL DEAL for CTTA Members! As a thank you to all the members who continue to support our club, we are offering a special price for this car. 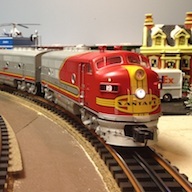 Although the retail price of this MTH operating car is $ 80.00 plus shipping, CTTA members can buy a maximum of two PGE side dump cars for the special price of $ 40.00 each, which includes shipping. 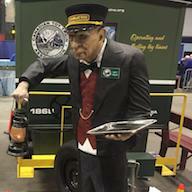 Do not miss this chance at this very special pricing for CTTA members. SOLD OUT from CTTA. Check your local hobby dealer for availability!